Applicant must be 55 or older to be eligible for housing. Must be 55 or older to be eligible for housing. All units at this property offer subsidy through HUD Project Based subsidy program. You will only pay 30% of your income for rent. Income limits apply. Income must be under 50% median. 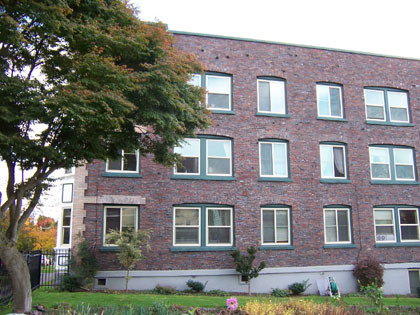 Located just off Yesler in Central Area on quiet residential street. Beautiful garden, on-site staff, on-site laundry facility, elevator, WSG and hot water included. Pets welcome.